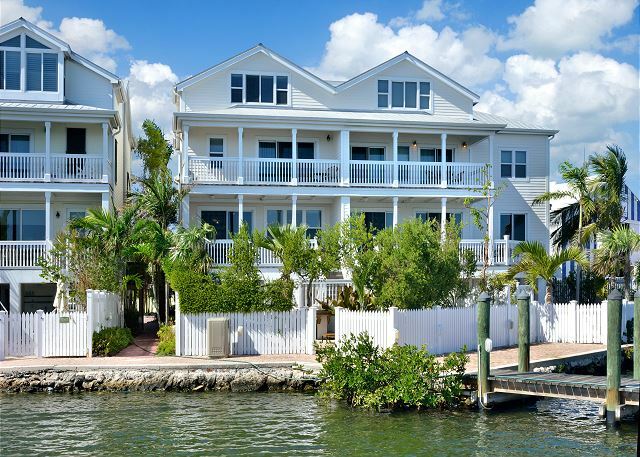 Vacation rental townhouse. 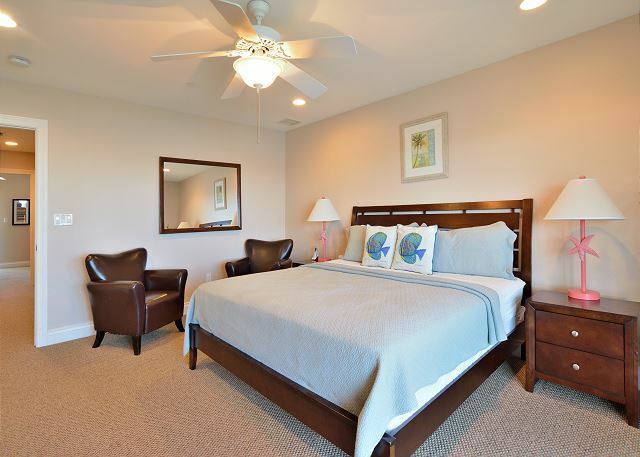 Sleeps 10, 4 bedrooms, 3.5 bathrooms. Dogs allowed. 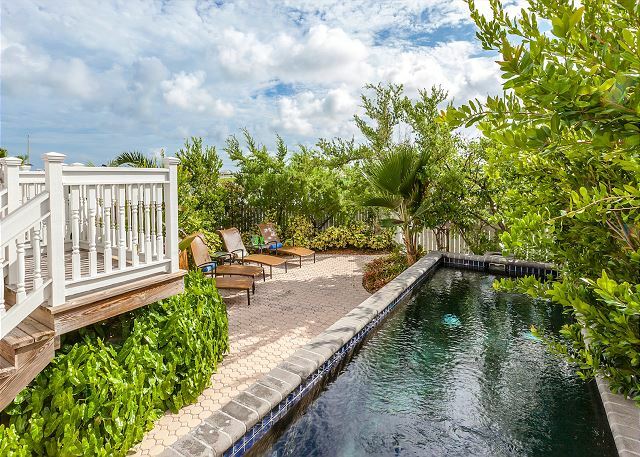 The elevated pool is an architectural feature as many old Key West homes converted their cisterns into pools once the water main was connected to the mainland. The view of the marina looking back at the development. 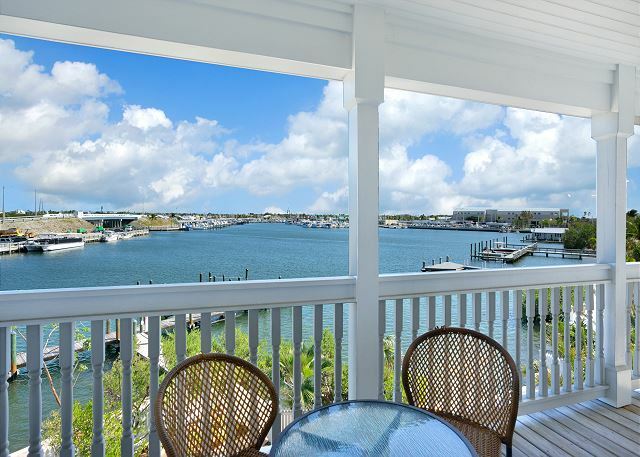 Your home is located on Eisenhower Dr. A small walkway leads you to the marina. Enjoy world famous Duval Street about a mile away. Your home is a stones throw from Charter Boar Row! 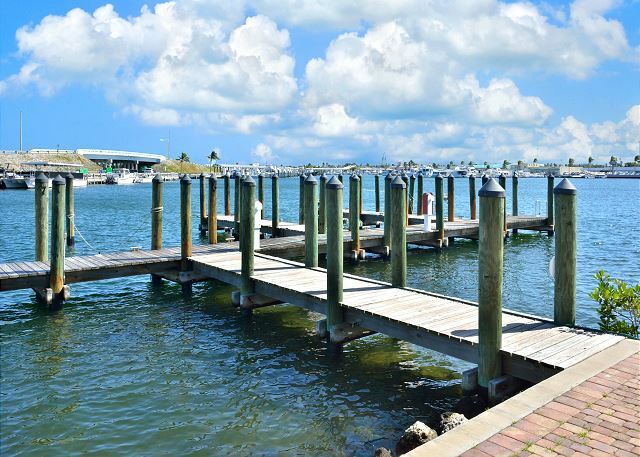 We recommend a tour of the Key West Sculpture Garden off of Wall St. and Mallory Square. We recommend a tour on the world famous Conch Tour Train. Old Town Trolley, a national company, was started in Key West and has locations like San Diego, Nashville, Savannah, St. Augustine, DC and Boston! Sloppy Joe's is just one of many famous Duval St. establishments. 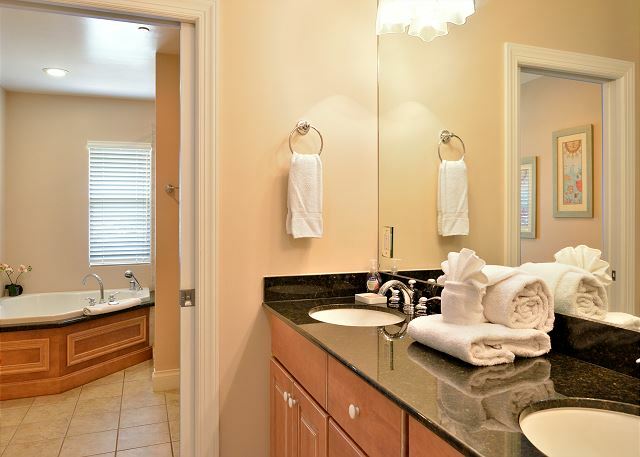 Master bath. 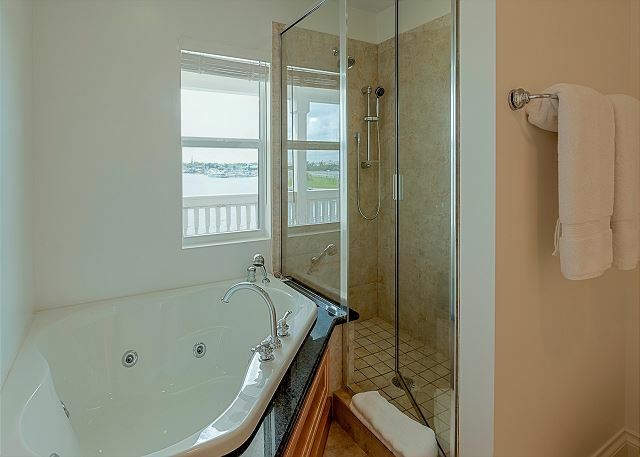 A pocket door separates the sinks and Jacuzzi tub. 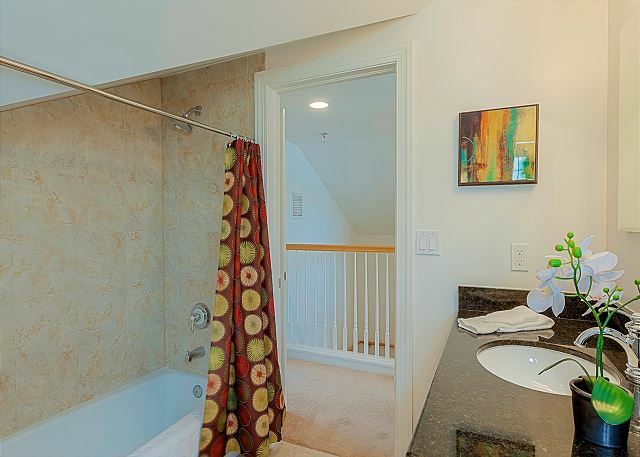 This is the upstairs bathroom with tub. 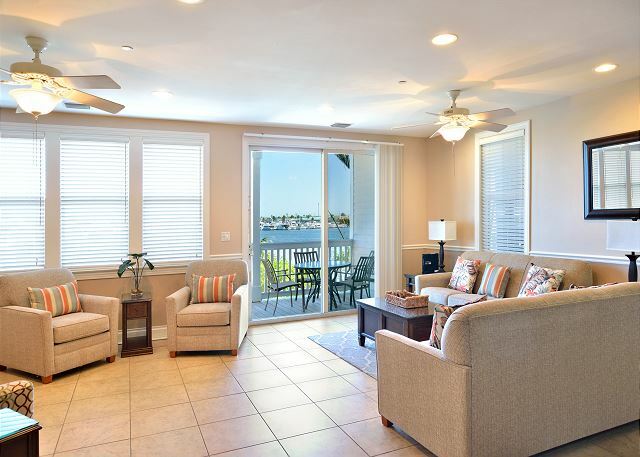 This is a picture looking from the sliding glass doors that lead onto the balcony from the second suite. 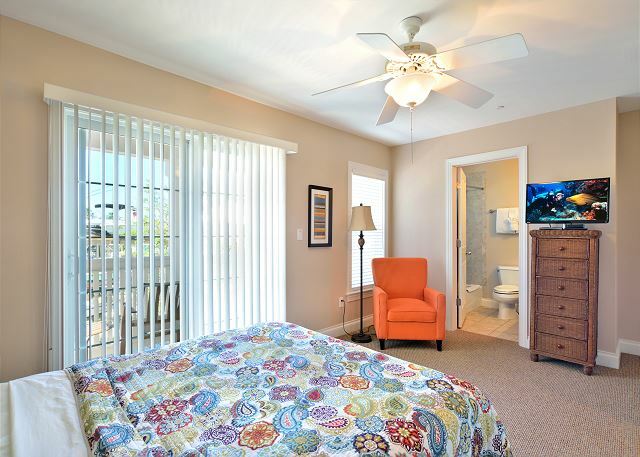 This room faces Eisenhower Dr. 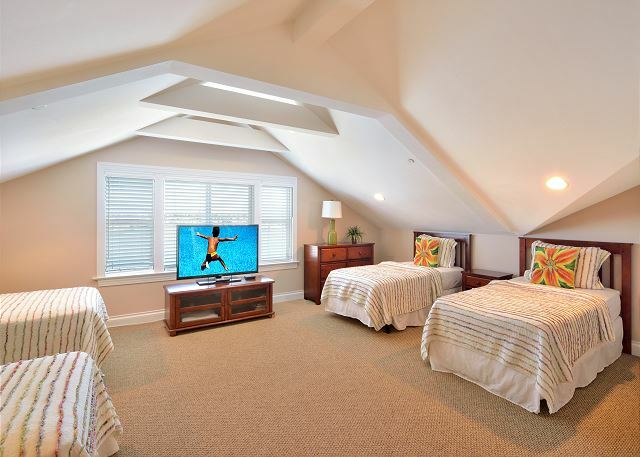 This room has two twin beds that can be connected to make one king bed. Requests should be made 10 days prior to arrival. 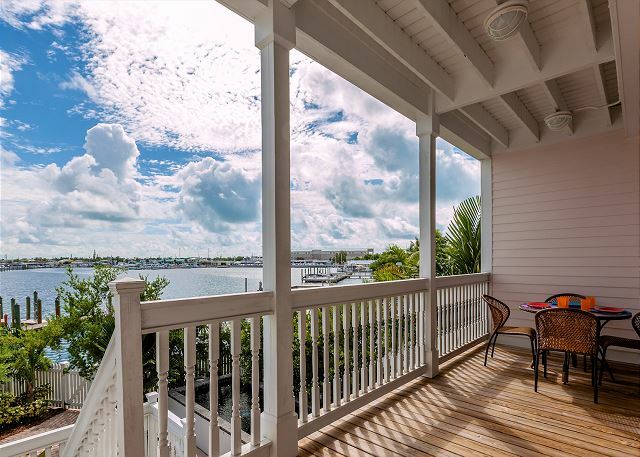 Enjoy casual elegance with a view of famous Garrison Bight and centrally located on the edge of Old Town. 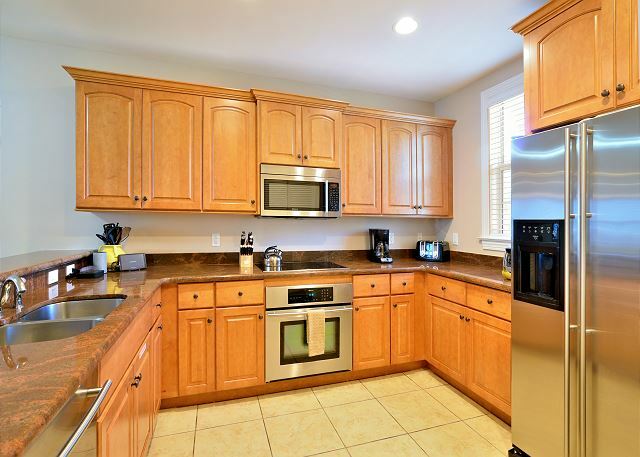 This home boasts a large two car garage with stairs leading up to the main floor consisting of a sprawling kitchen appointed with all the tools even the most experienced chefs would envy. 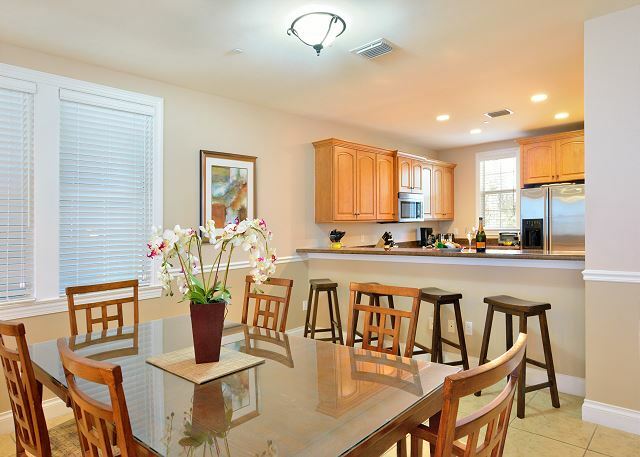 Just in front of the kitchen is a large wood dining table to seat 6 comfortably while overlooking past the living room and towards the water. There is a kitchen bar which allows for additional seating as well. 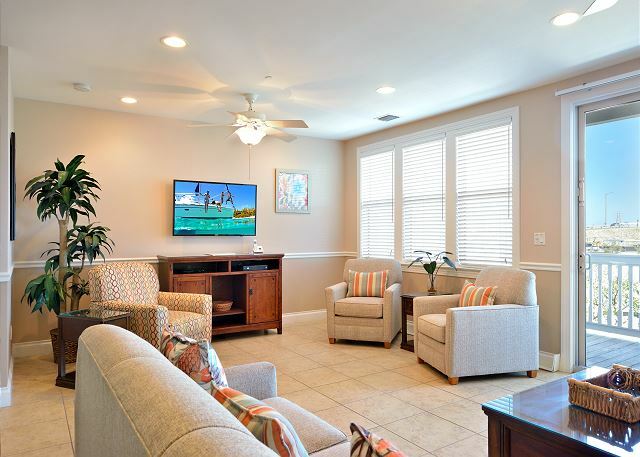 The Living rooms is comfortably situated with a pull out sofa and large HD flat screen with full HD cable. Wish to enjoy the tropical air? 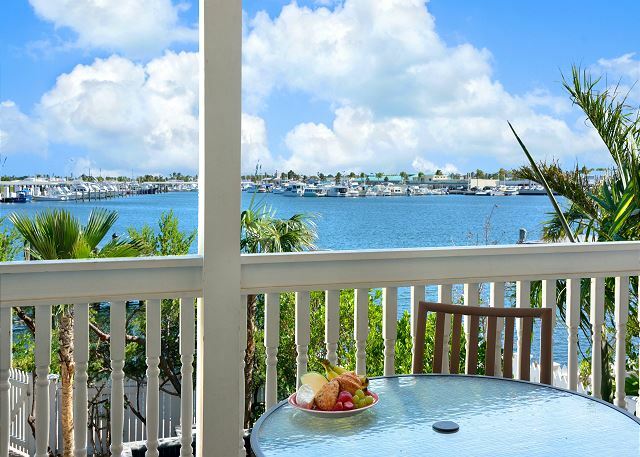 Lounge on your private balcony and watch the charter fishing fleet depart or return amidst their daily catch. 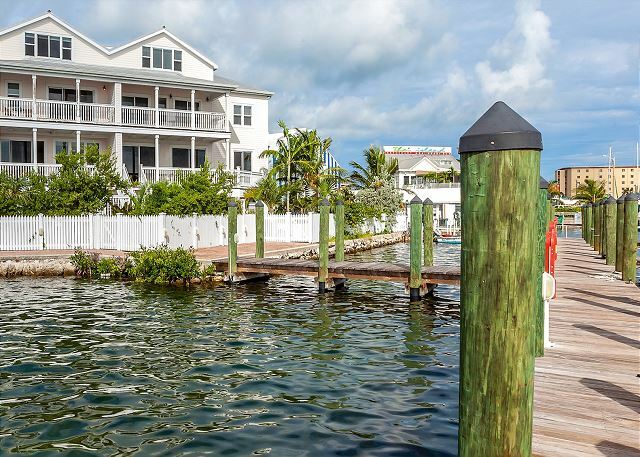 Enjoy the spectacle and camaraderie while they unload the catch of the day with just a short walk from your oasis. 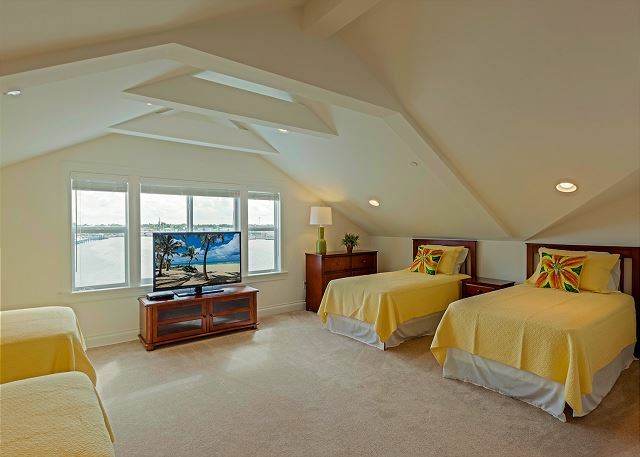 On the next floor are two master suites with en suite bathrooms. 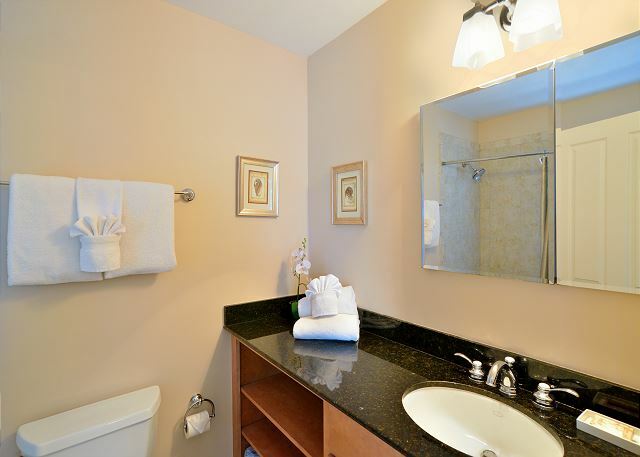 Each suite has it's own balcony and walk in closets. 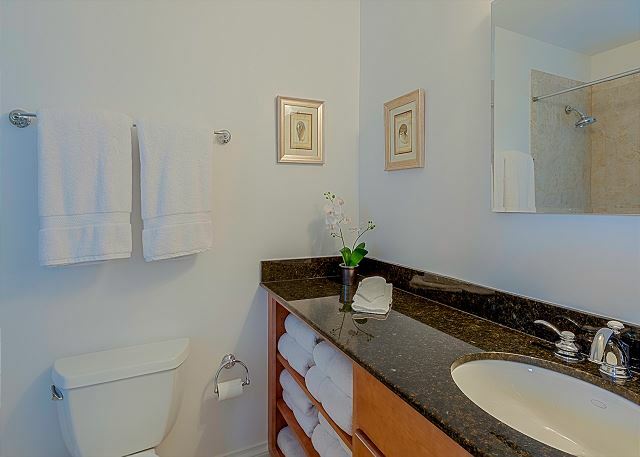 All your luxury linens exceed the highest of standards and we aim to provide you with the comfort to make your stay not only memorable, but heavenly as well. Bring the whole family! 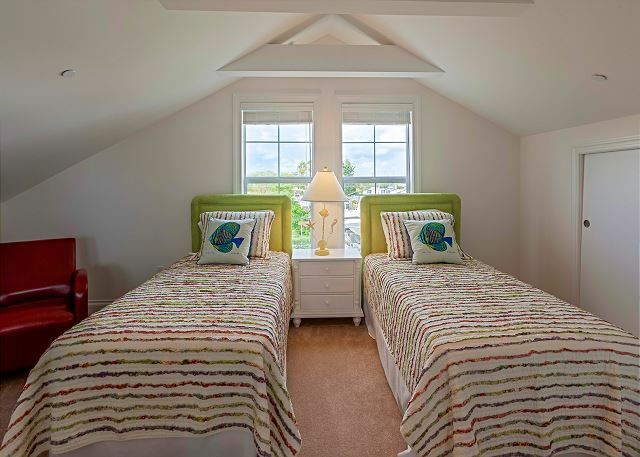 The top floor has a loft with 4 twin beds, which can be arranged to make two King beds (with notice) and a central bathroom. 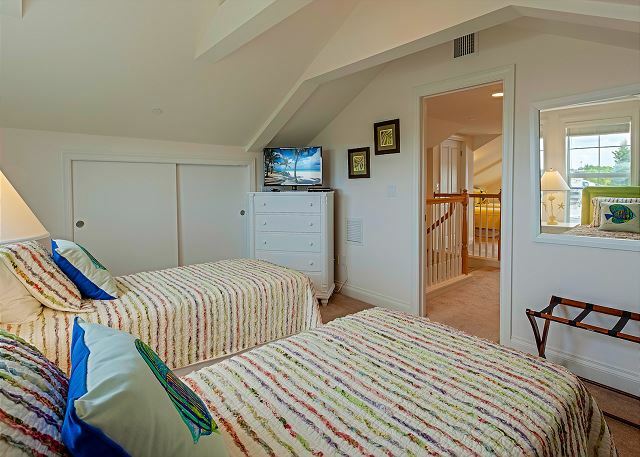 The top floor also has a private room with two twin beds as well and can also be joined to make one King bed. 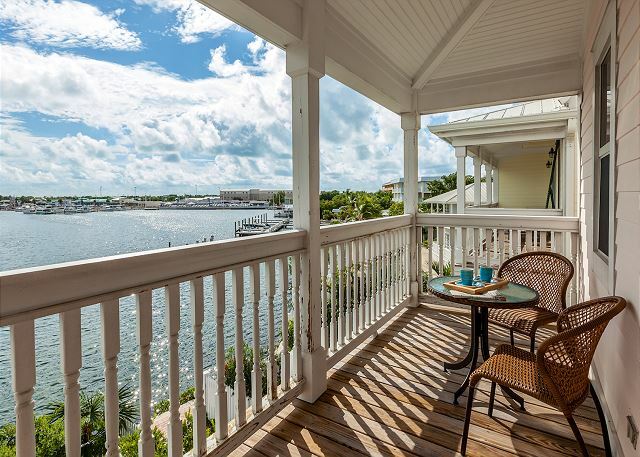 Whether its kids or adults, this home provides numerous options to accommodate the widest of sleeping accommodations necessary, not often found in ole Key West. 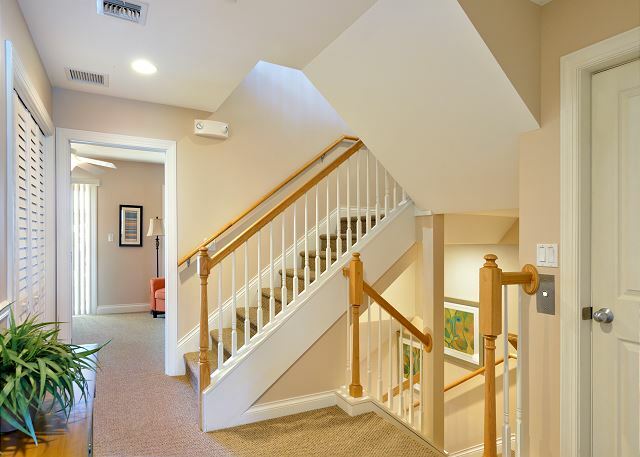 An elevator spans all floors in this sprawling home accessible from the ground floor garage to the top floor! 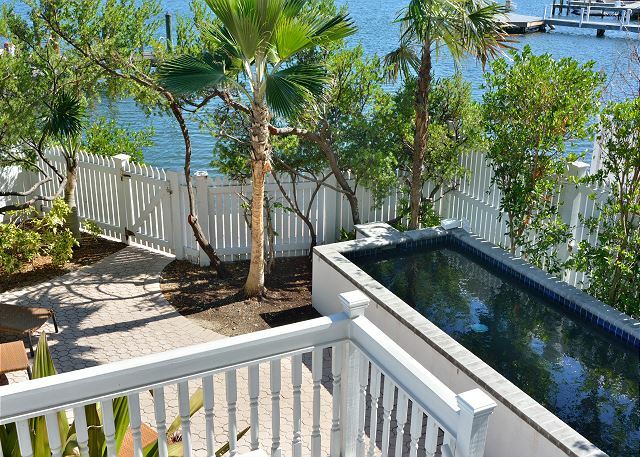 The heated pool is located in the rear yard which is situated a mere distance to the water and your own private boat slip. 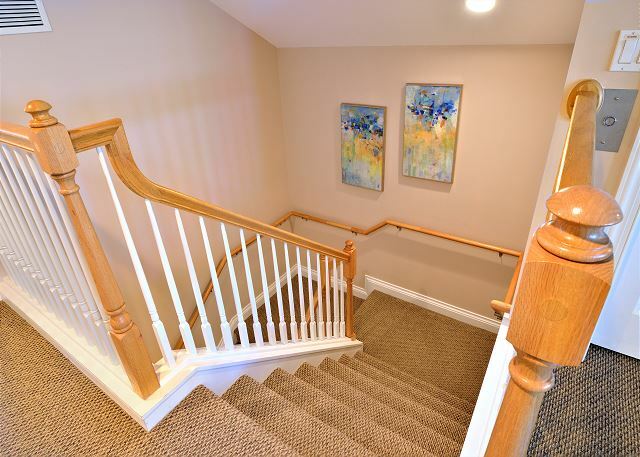 You can choose to walk from the main floor balcony down your private steps to your private liana or through a private door from the garage. 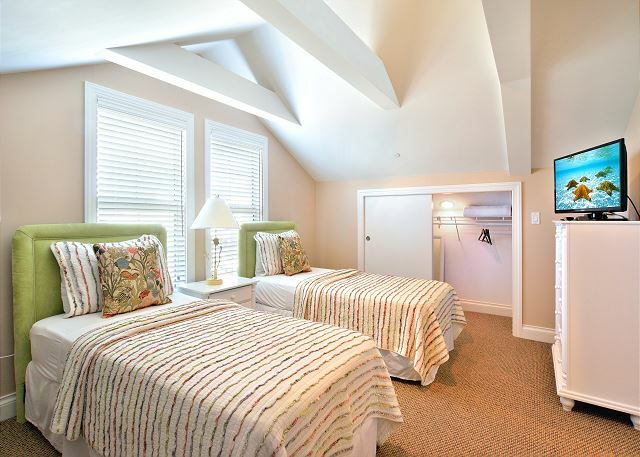 Either way, seclusion is what you have to relax in when at Bayview Retreat! My family and I, ten of us in total (all adults), stayed at this property last weekend and really enjoyed it. Great views from the decks. Clean and spacious, in good condition. We rented a boat for the weekend and it was great to have it right out the back door. We also enjoyed the pool more than I thought we would- it was really nice to have. My only complaint was the barbeque was filthy- but if that's my only complaint I would say the property was a hit. We would definitely stay again. Thank you! 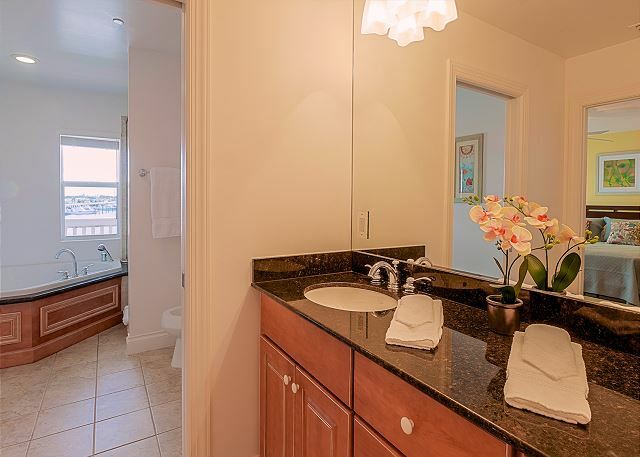 Fantastic house, clean and lots of room. We had 8 people and we had plenty of room and space to do out thing w/o tripping on each other. We were well pleased with the unit which was one of a few with water views. Javier was very responsive to all our requests. We recently stayed at the Bayview Retreat for a week. 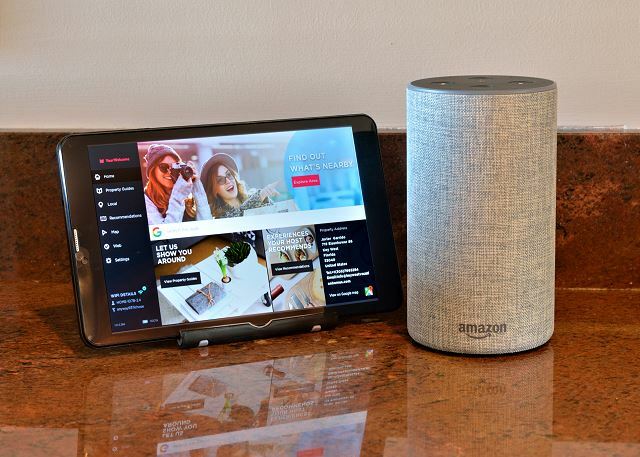 The house is fabulous, well organized for visitors, complete with Alexa to help with music and even voice activated television search. Grill downstairs by the pool is very nice and in impeccable condition. We rented a 24' boat at the marina next door which they let us keep on the dock in front of the house all week which was nice. Javier and the rental management company were very responsive to any issues we had and were quick to resolve them or just point us in the right direction for dinner. 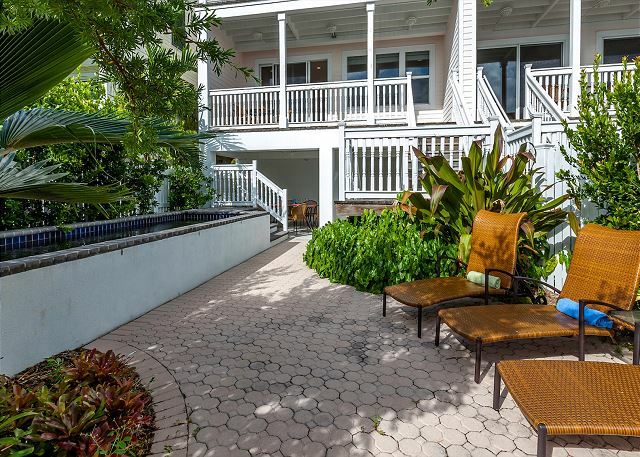 My family and I had a great time in Key West and a lot of it was due to staying at this home. It was great to be able to go out on excursions and return home to a very safe and comfortable surrounding. 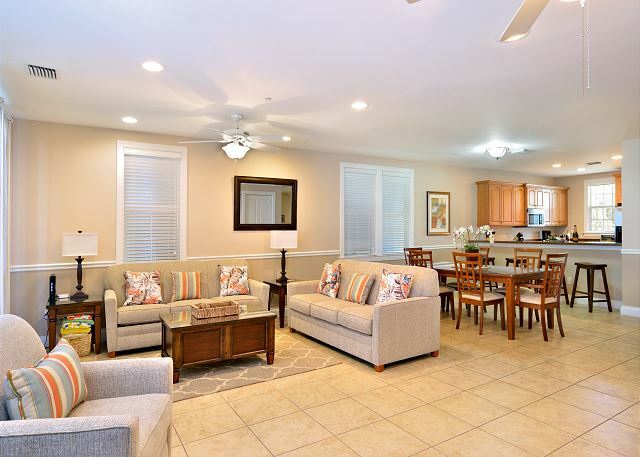 Family time was great with cooking and grilling together, having drinks in the pool or simply just being together in the spacious living area. Service was super and the people we worked with could not have been any better. 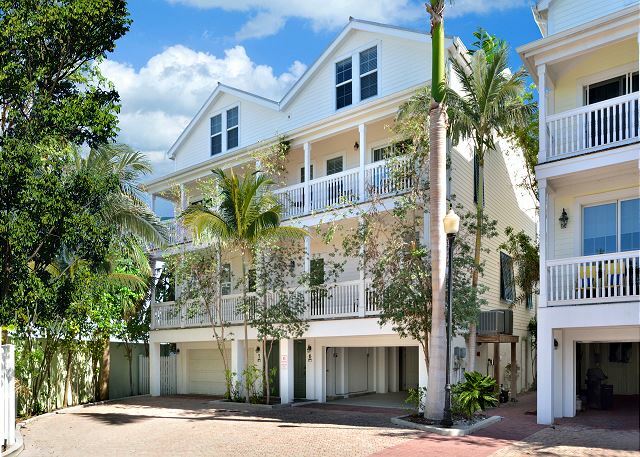 Would definitely recommend to anyone and everyone staying in a larger group in Key West. The place was perfect for our needs-- 4 adults, 4 kids a dog and a boat. The slip was quite convenient & comfortable and so was the location of the villa. We will definitely rent this villa again. 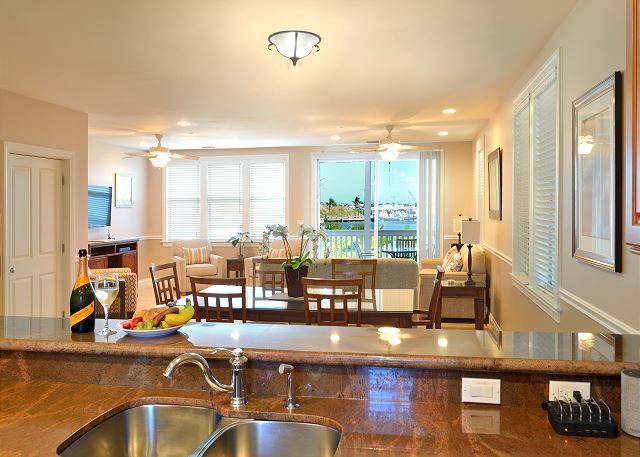 This is your main floor with kitchen, dining and living rooms. 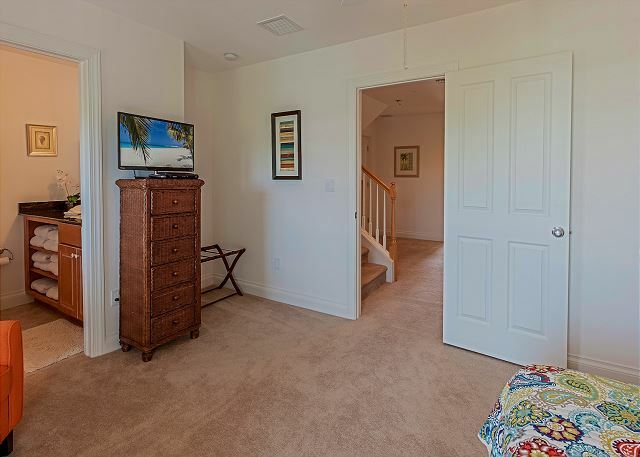 This floor has your master suite and second en'suite. 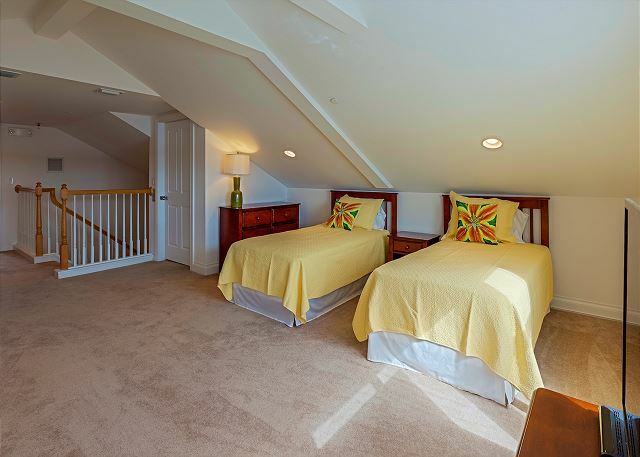 This is the top floor with the loft and bedroom. 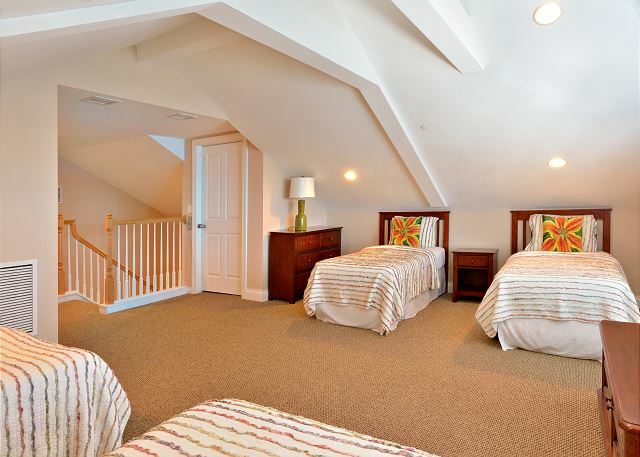 Loft has 4 twin beds and the bedroom has two twin beds. 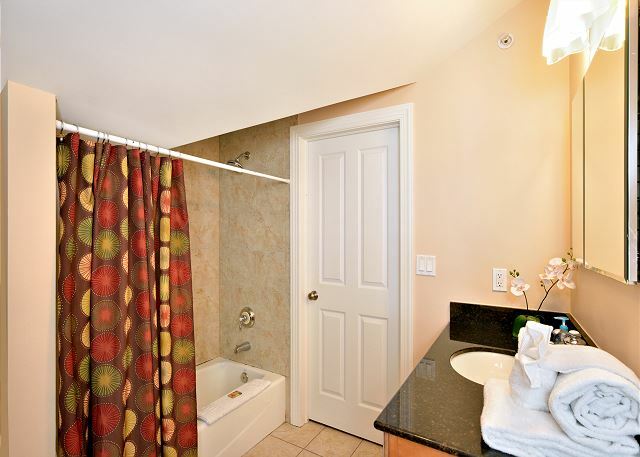 There is also a shared bathroom on this floor.